Two-way streets are one of the basic building blocks of modern cities. 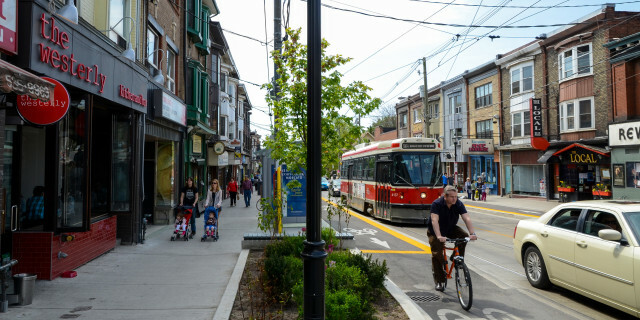 They can provide all levels of transit service depending on their size, and, compared to one-way streets, they can make transit routes visible and easier to understand, with service running in both directions on the same street. 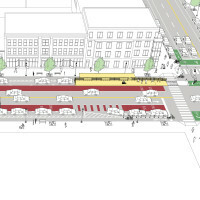 In all contexts, improving the transit function of congested two-way streets remains a challenge of balancing dynamic traffic movements, local access, and an inviting public realm. Multiple modes may be competing for scarce street space, and often require management to keep them moving efficiently. 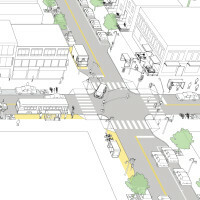 Street design tools can improve transit function at all scales and reduce the need for ongoing enforcement. 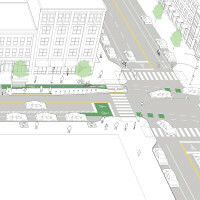 Edgefront transitway corridors use side transitways to dramatically transform the character of a disused waterfront street or a previously failing megablock, safely integrating multiple street users into a premier streetscape. References for Transit Streets: 16 found. "2. Sidewalks". 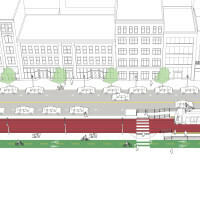 "Boston Complete Streets Design Guide." Boston Transportation Department, Boston.
. "Design & Engineering Manual." District Department of Transportation, Washington. Beaton, Eric B, Evan Bialostozky, Patrick Dougherty, Taylor Reiss Gouge, and Theodore V Orosz. 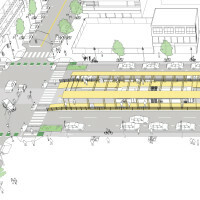 "Designing the Modern Multi-Modal Urban Arterial: A Case Study of the Webster Avenue Bus Rapid Transit Project." New York City Department of Transportation, Paper presented at the Transportation Research Board 93rd Annual Meeting, Washington. Bhagwant Persaud & Craig Lyon . "Evaluation of Lane Reduction “Road Diet” Measures and Their Effects on Crashes and Injuries." Highway Safety Information System, Federal Highway Administration, Washington. Coffell, Kathryn, et al. 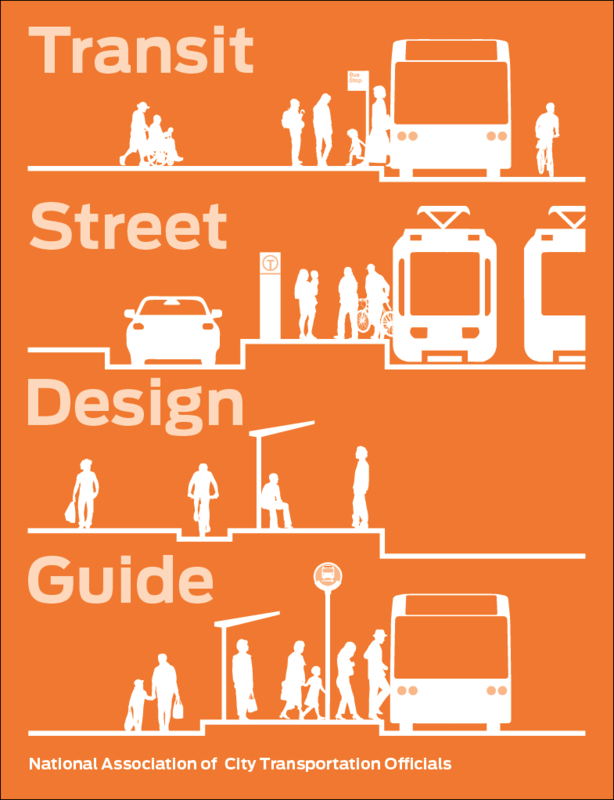 "Guidelines for Providing Access to Public Transportation Stations." TCRP Report 153, Transportation Research Board, Washington. Stamatiadis, Nikiforos, and Adam Kirk. "Guidelines for Road Diet Conversions." University of Kentucky, Lexington. Dill, Jennifer, Marc Schlossberg, Liang Ma, and Cody Meyer.. "Predicting Transit Ridership At The Stop Level: The Role Of Service And Urban Form." 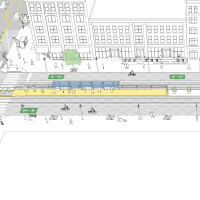 Portland State University, Submitted to the 92nd Annual Meeting of the Transportation Research Board, Washington. 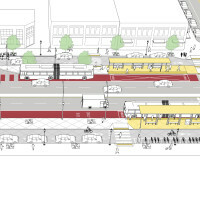 SFMTA. "Transit-Only Lane Enforcement." San Francisco Municipal Transportation Agency, San Francisco. Robinson, Geoff. 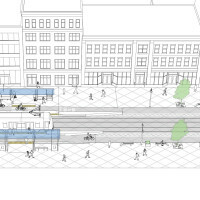 "Swanston Street North Proposed Tram Platforms." Presented to Future Melbourne Committee, Melbourne. Kendrick, Christine, Adam Moore, Ashley Haire, Alexander Bigazzi, Miguel Figliozzi, Christopher Monsere, and Linda George. "The impact of bicycle lane characteristics on bicyclists’ exposure to traffic-related particulate matter." Portland State University, 90th Annual Meeting of the Transportation Research Board, Washington. Duduta, Nicolae, Claudia Adriazola-Steil, Carsten Wass, Dario Hidalgo, Luis Antonio Lindau, and Vineet Sam John. 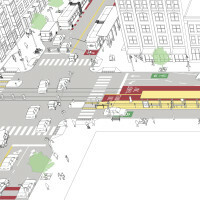 "Traffic Safety on Bus Priority Systems: Recommendations for integrating safety into the planning, design, and operation of major bus routes." Ross Center for Sustainable Cities, World Resources Institute, Washington. Koonce, Peter, Lee Rodegerdts, Kevin Lee, Shaun Quayle, Scott Beaird, Cade Braud, Jim Bonneson, Phil Tarnoff, and Tom Urbanik. ""Ch. 6: Coordination," Traffic Signal Timing Manual." Federal Highway Administration, Washington.